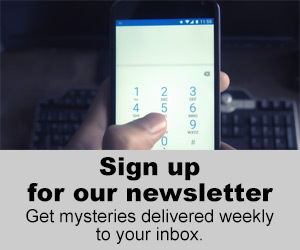 Middle Tennessee Mysteries is a True Crime website by veteran journalist Michelle Willard that is dedicated to shining a light on the notorious cold cases and infamous crimes in Tennessee. Thanks for your interest in our publication. Our mission is to provide the best possible information in a timely manner. I am a freelance journalist who fills my days with social media marketing, politics, true crime, and taking complaints. As a reporter for small to medium-sized newspapers, I covered education, local government and crime. It was during the long hours spent sitting on benches in courtrooms that I saw the impact that the death of a loved one can have on a family. It is my hope that this site can help catch a killer or uncover information that could bring closure to a family in pain. If you have any comments or complaints, @ me on Twitter @MichWillard or email me at michelle.willard(at)gmail.com.